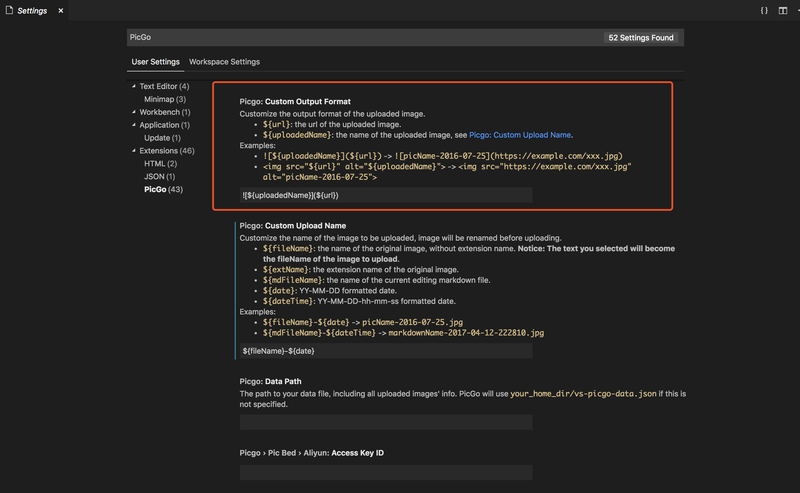 Visual Studio Code>Other>PicGoNew to Visual Studio Code? Get it now. 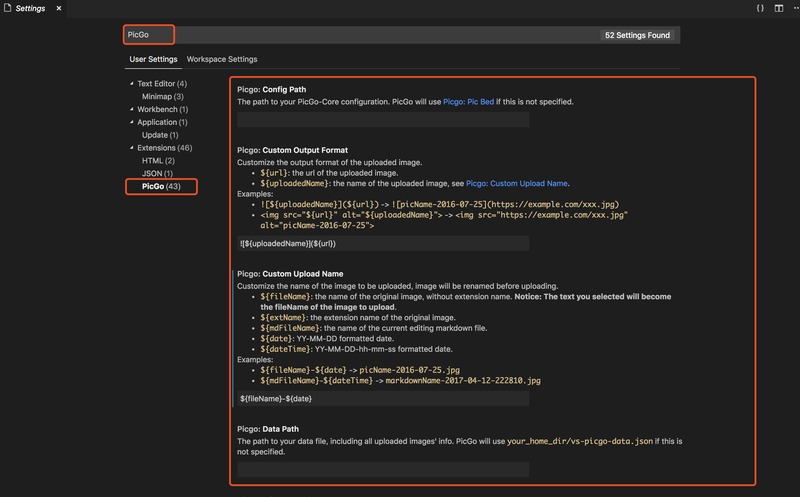 A fast and powerful image uploading plugin for VSCode based on PicGo. Supports most image types (png, jpg, gif, etc.) and many image hosting services (smms, qiniu, imgur, etc.)! 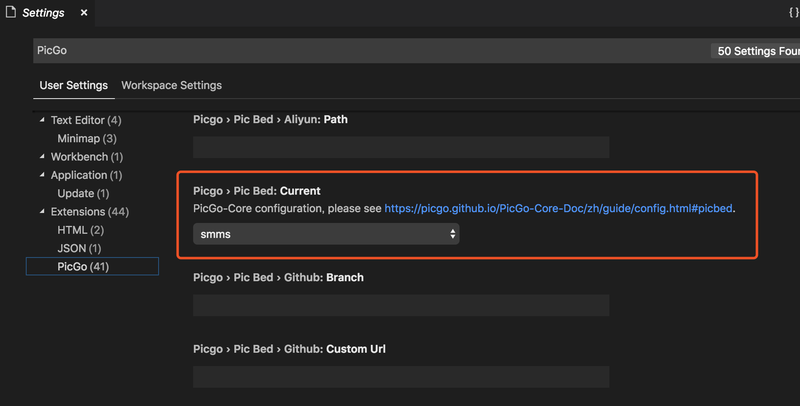 The VSCode extension of PicGo. 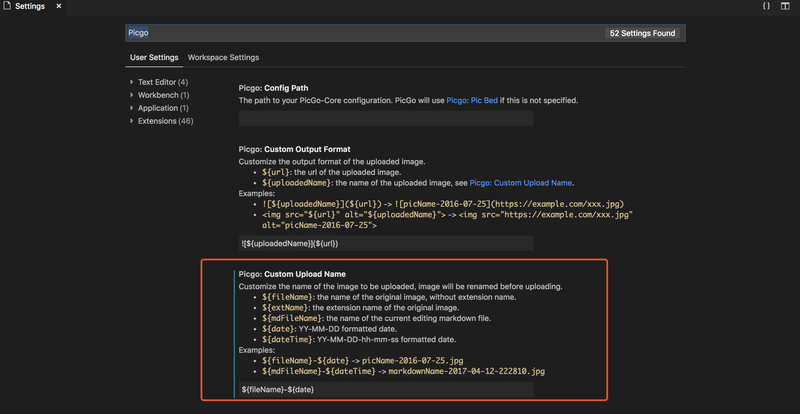 vs-picgo is a VSCode extension for uploading images to a remote image hosting service and insert the url into the current editing file. It's much more efficient than other tools. And it can give us the better experience of uploading images. vs-picgo supports 8 kinds of image hosting services: weibo, qiniu, tcyun, upyun, github, aliyun, imgur and SM.MS, which are supported by PicGo-Core. And the plugin feature of PicGo-Core is working in progress. You can change all the shortcuts below as you wish. We could use vs-picgo without any settings. 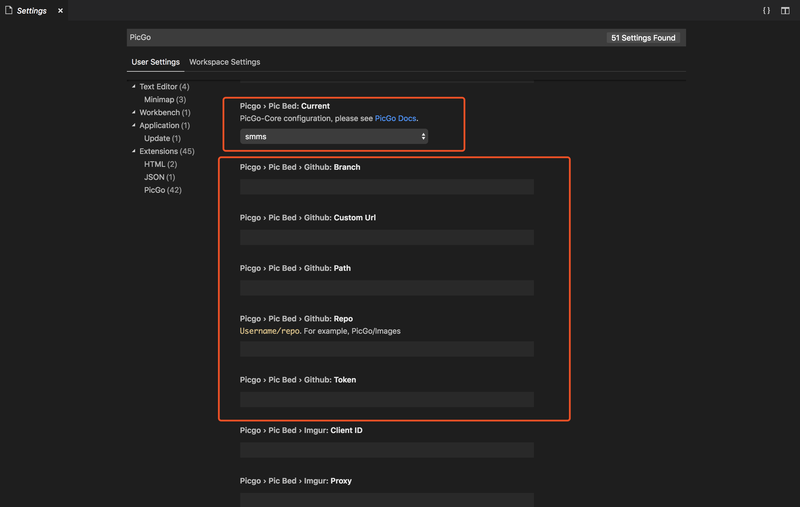 The default image hosting is SM.MS. Notice: YOUR_HOME_DIR should be replaced by the path of your current user path. vs-picgo will use the same configuration as PicGo-electron. 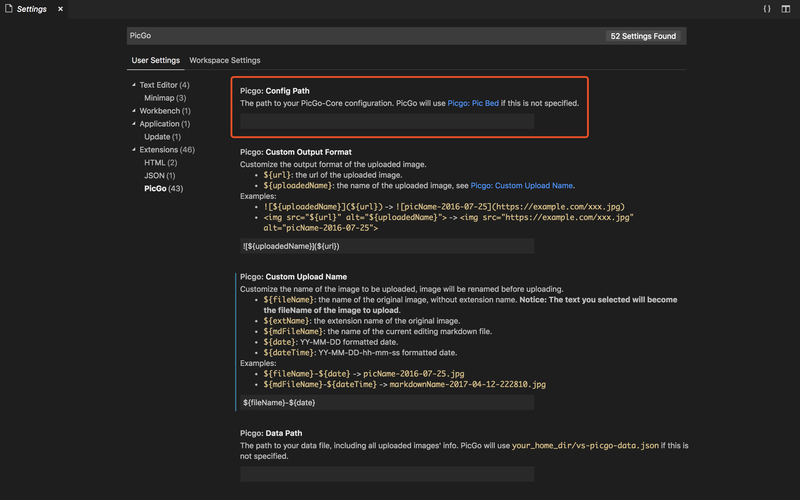 PicGo-electron will display all the uploaded images by vs-picgo in its gallery. 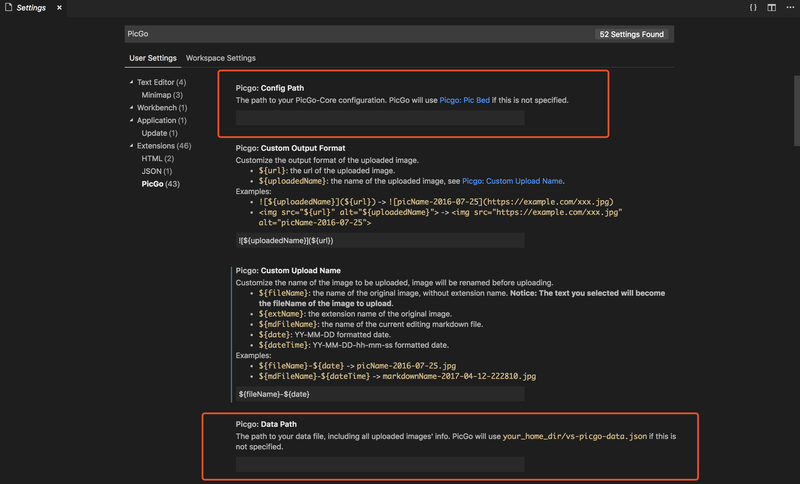 External configuration file property has changed, from picgo.path to picgo.configPath. For the versions available, see the tags on PicGo/vs-picgo. ChangeLogs can be found at CHANGELOG.md. All the dev builds can be found on Azure, and you can just open the build of a specific commit, and go to the Summary tab to download the artifacts.